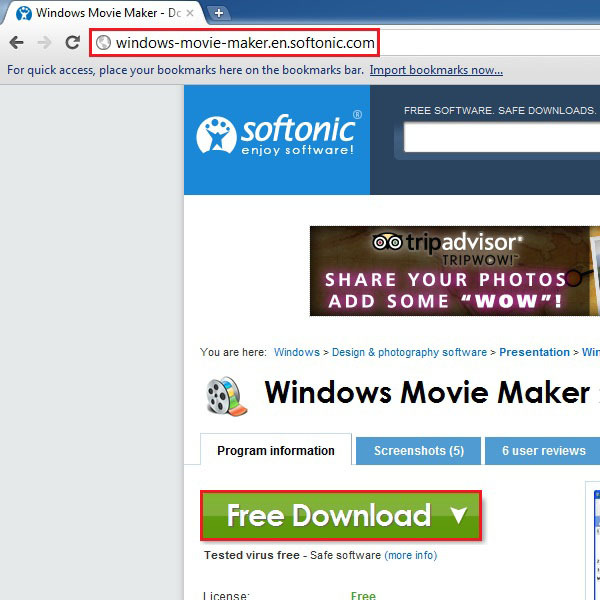 « How To Save Your Bookmarks in IE, Firefox, Opera & Google Chrome? How to Split Videos Into Sections for Youtube? Youtube is one of the most popular online video sharing network. It has a variety of music videos available, including music videos, songs, movie reviews etc. More and more people upload and share videos on this platform on a daily basis. When people try to upload a long video, it can take up a lot of time due the size of the video file. The best solution of this problem is to split the video into two or three segments. This will help in uploading the files much faster. Youtube also has the time limit of ten minutes and fifty nine seconds. Any video longer then that cannot be uploaded. By splitting videos, you can upload a complete video on the platform in several different parts. Splitting up a video into several different segments is an easy task. 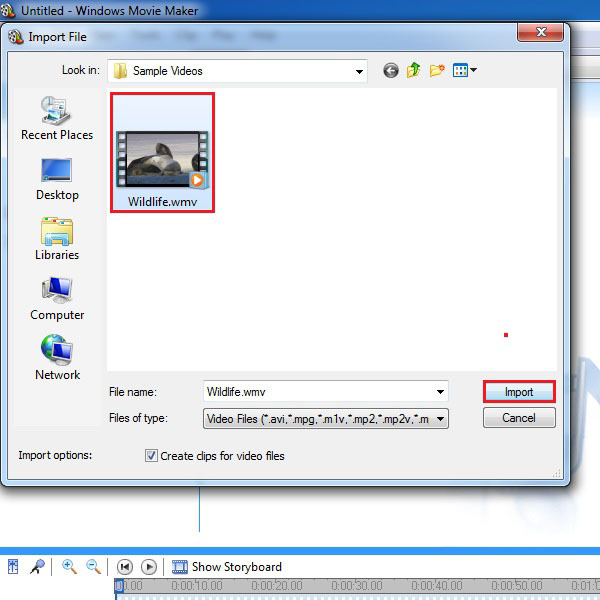 In this tutorial we would be using the Windows Movie Maker to split a video. You need to follow through these simple steps to learn how to split videos into sections for Yourtube. 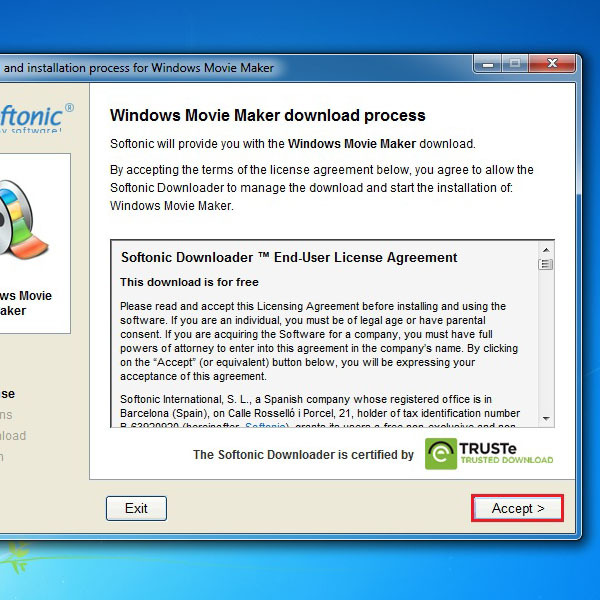 Open the URL: windows-movie-maker.en.softonic.com and click on the “Free Download” button appearing on the main screen. Your default download manager will ask you to provide the location, where to save the file, and authorize the download. 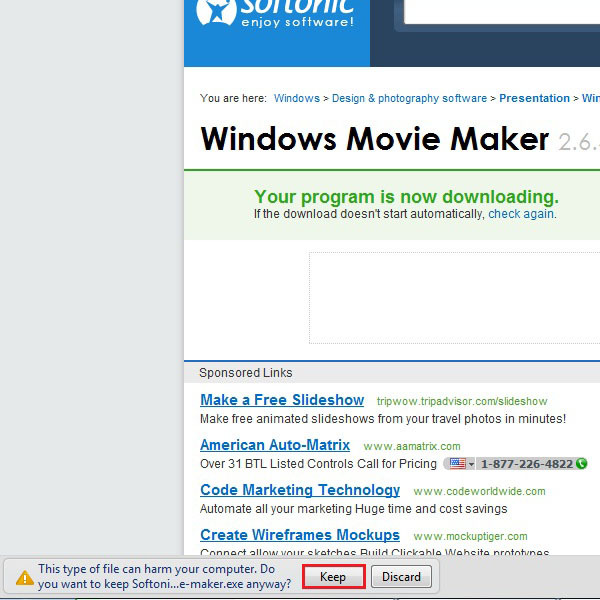 Click on the “Keep” button to save your installation file. 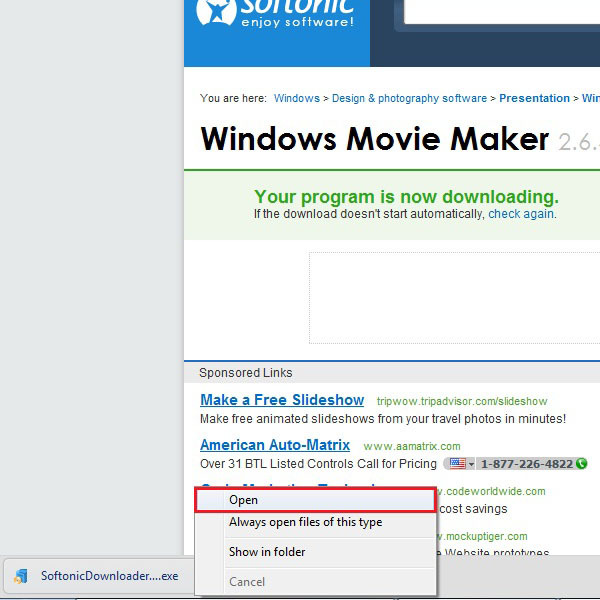 After successfully downloading the installation file, click on “Open” option to open the download manager wizard. Once you open the file, a setup window will appear in front of your screen. Click on the “Accept” button to continue with the downloading. Once all the setup files have been downloaded, an installation wizard will open. 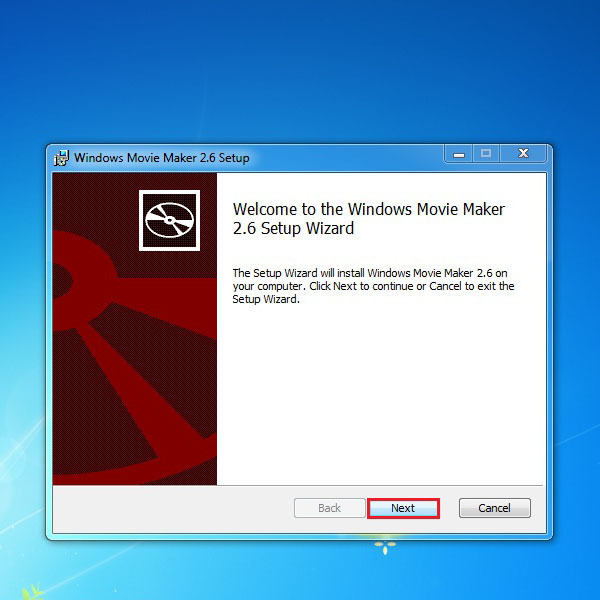 Proceed with the installation steps provided by the setup wizard to install Windows Movie Maker on your computer. Once the application has been downloaded and installed, click on the shortcut appearing on desktop to open up the application. On the main screen, click on the “Import Video” option. This option allows you to browse and select the video that you want split. Once the new window opens, browse and select your required video and then click on the “Import” button to open the video. You can see that your video will appear on the main screen. Drag the video in the timeline, by moving the cursor over the video, left clicking on the video, holding the mouse button, and dragging the video into the timeline. Now move the cursor on the right corner of the movie clip until it becomes red. Click on it and drag it towards the left side. This way, you can discard the rest of the video from the time line. The remaining portion would be the first part of the movie clip. 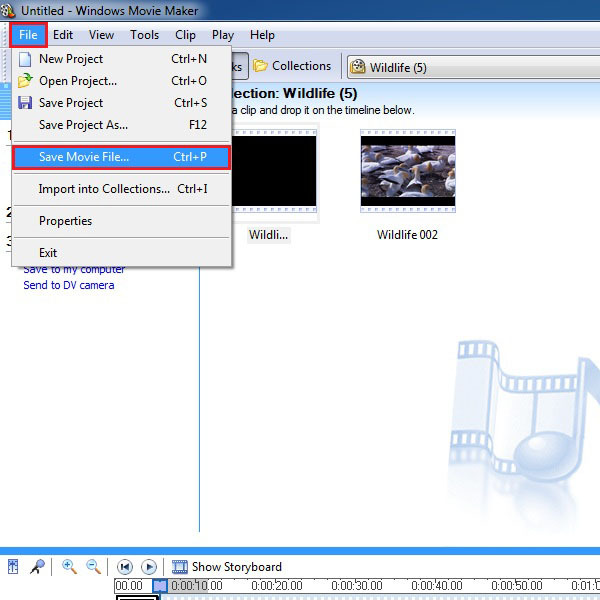 In order to save the first part, click either on the “File” menu available on top of the screen and select the “Save Movie File” option from the menu. 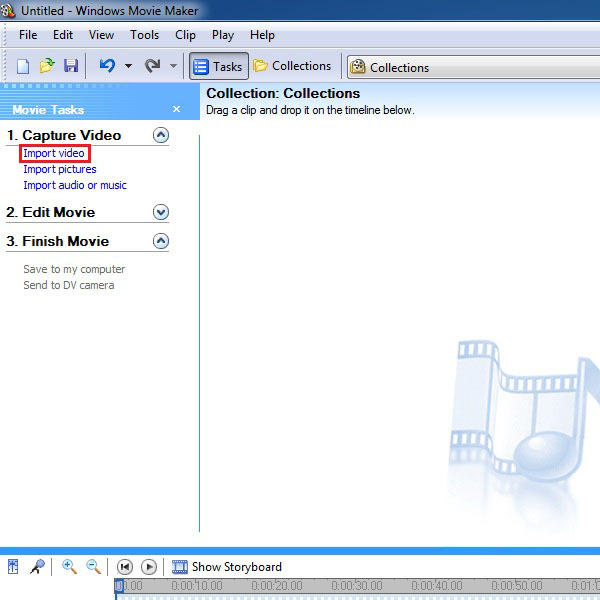 You can also save the video by clicking on the shortcut named “Save to my Computer” which is available on the left corner of the main screen. 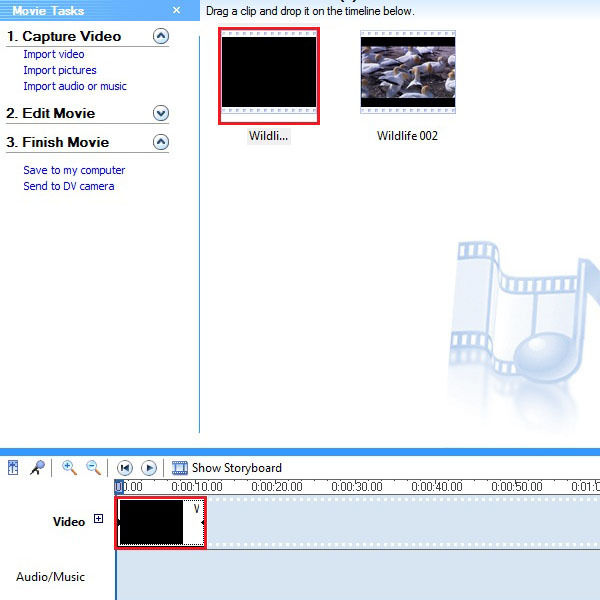 On next step, you would be required to follow the same steps to create the second part of the video. This time you will have to move the cursor from the left side of your video clip. The clip length and time frames should be selected carefully to avoid any repetition in the video. Save it by repeating the same process mentioned in the previous steps. 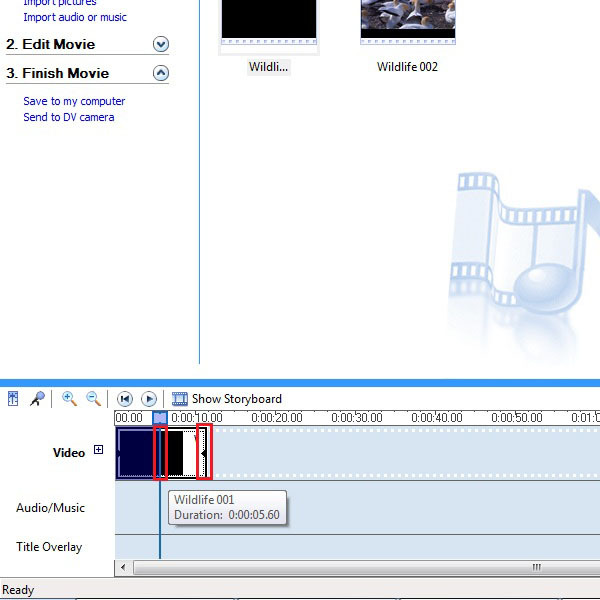 Now your video clip has been split into two smaller parts and can be easily uploaded on Youtube.